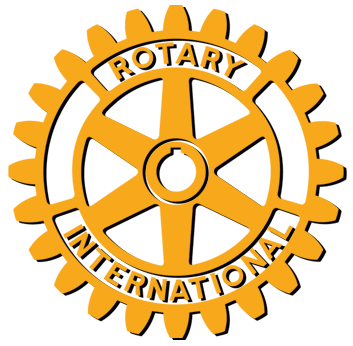 Rotary Club Sofia International and its members provide humanitarian support and participate in charity initiatives worldwide. April 3rd, 2019 - posted in Galleries, Meeting, News and Events. The regular meeting of Rotary Club Sofia International on 3 April 2019 in Hilton Sofia was marked by the vivid and colorful presentation about Cognac by our dear firend and member Mr. Marc Bouzy. All present had the pleasure to listen to the rich in content lesson, while slowly sipping cognac and savoring the flavors. Our guests were Mr. Atanas Andreev, Mr. Brandur Haukson, Mr. Christoph Glaser, and Mr. Thomas Metz. 1st: “Never get high on your own supply”. Cognac is chiefly an export spirit. 98.8% of all “tasteless” white wine spirit produced in the region and city of Cognac is for export. 2nd: French drink Armagnac (most of it stays within the country). 3rd: The theory of evaporation is wrong. Angels decent from heaven to steal Cognac while it is stored in oak barrels. 4th: Cognac is a mix of at least 3 differently aged bad white-wine distillates. 5th: The most popular distilleries are of British decent. Thank you Marc for your very interesting presentation, we all loved it. Further focus was set on the organizational issues for our traditional Whiskey Night Event which will be held on 30 May 2019. We are also planning an Octoberfest, which will take place in the first week of October. Hilton Sofia has confirmed interest to do this event and is reassuring the team set up with our club. The locations of both events are still to be confirmed. After the meeting the fellowship, as usual, continued in the lobby bar of the hotel. March 27th, 2019 - posted in Galleries, Meeting, News and Events. Our Club’s meeting on 27 March started with the official ceremony of a new member acceptance – Mrs. Dessy Tian, who was our regular guest in the past few months. She was welcomed with a speech by our President – Mr. Enrico Repouz – followed by the pin ceremony by her sponsors Ms. Ani Hristova and Mr. Rumen Rusinov and her thoughts on becoming a Rotarian. Dessy is a medical doctor in Traditional Chinese Medicine and has her practice in Sofia. Congratulations Dessy, we are very proud to have you among us. The acceptance was witnessed by our guest Mr. Petrun Vardarov from Rotary Club Samokov. He presented himself and his club, as well as, their activities and projects. Mr. Vardarov, you are always welcome to be our guest. Our President, Mr. Enrico Repouz, informed us about a wonderful private initiative and a great example of internalized charity. Our dear friend Mr. Wolf Harlfinger and his wife Mrs. Juliane Harlfinger have been collecting clothes form friends in Germany and on Monday 25 March they both delivered in excess of 18 large boxes to the children’s home in the city of Roman (“National Fund St. Nicola” Foundation – Children with mental impairment). Further the meeting followed with update on the progress of the establishment of our sitting volleyball club – “Sofia Owls”. On 8 May we will welcome Rotary Club Sofia Balkan for presentation on how they started their basketball club for handicapped athletes. We hope to receive an insight of best practices from our friends and to apply these to our project. One more important announcement concerning HOPe Restaurant, a social enterprise started with with a Global Grant by our club and the Foundation for Social Change and Inclusion, has changed its location. The new address is 99, “Knyaz Boris I” Str. in Sofia. You are all invited to visit them and sample the food prepared by youngsters living in protected homes in Sofia. The meeting cotinued with a presentation by Mr. Jörg Schenk on India and on Field Hockey. An impressive, non-suppressive, immersive, non-subversive, and sportive impressions of India with a heavy dose of field-hockey, powerful and comprised. The audience loved the insights of field hockey. Just a remember, our member, Mr. Jörg Schenk is the new Chairman of the Bulgarian Field Hockey Association. After the meeting the fellowship continued in the lobby bar of the hotel. March 24th, 2019 - posted in D2482, Galleries, News and Events, Visits to clubs. The Presidents Elect Training Seminar (PETS) 2019 of Rotary Bulgaria, District 2482, took place in Bansko on 23 March 2019. Alongside the Presidents Elect training, a module for the secretaries was also held, as well as the Rotary Foundation module. Four people from the club – Ms. Hristova, Mrs. Malchevska, Mr. Sougarev, Mr. Kertev, the President Elect attended the event. The fellowship started on Friday evening with the friends from Rotary Club Harmanli and Rotary Club Samokov. On Saturday morning the seminar was opened in Regnum Hotel, Bansko with the traditional bell and the anthems of Bulgaria and of Rotary Bulgaria. The District Governor Mr. Veselin Dimitrov opened the Seminar. Mrs. Ayshe Medarova, President of Rotary Club Bansko-Razlog and Mr. Krasimir Gerchev the mayor of Razlog Municipality also welcomed the participants. The District Governor Elect – Mr. Mitko Minev was next and started by introducing the 2019-2020 Rotary International President – Mr. Mark Daniel Maloney. He continued with the presentation of the Presidential Theme – “Rotary Connects the World”. Mr. Minev continued with introduction of his team – the District Officers of D-2482. We are proud with our member and Past President Ms. Ani Hristova, who is nominated as the Chair of the Subcommittee for Donations and Recognitions. After the lunch break the participants were split into 3 groups – Presidents, Attended by our President Elect Mr. Kertev; Secretaries with the participation of Mrs. Malchevska; Rotary Foundation Committee Members, with Ms. Hristova as participant and presenter as a chair of a subcommittee. Each module focused around the tasks during the term of each group. In the evening 290 guests enjoyed a wonderfully organization dinner reception for the 15th Birthday of Rotary Club Bansko-Razlog. The host of the evening was Mr. Yordan Aleksiev who catered for the good mood of the guests. The program also included performances of local folklore group and local comedians, followed by a charity auction and raffle. The evening concluded with dancing till the early hours of Sunday. March 20th, 2019 - posted in News and Events. On 20 March 2019, at our regular meeting, the main focus was set on the results from the Wine It! – 2019 fundraising event and the experience we and our dear guests gained from it. Our President proudly announced the outcome from the happening in the presence of our guests Mr. Károly János Szücs from Rotary Club Dunaharaszti, Hungary, Mr. Brandur Haukson, Mr. Thomas Metz, Mr. Atanas Andreev, and Mr. Dimitar Dimitrov. Also on the day of the fundraising event – 14 March 2019 our sitting volleyball club got officially registered. Thanks to our member Mr. Svetozar Shkoutov who was engaged with the legal work of the registration. All present agreed that Wine It! – 2019 event was successful, very well organized, and all present enjoyed the party until late hours. After drawing up the balance sheet, we had a total of more than 150 participants, 16 wineries, 15 additional sponsors, a DJ, more than enough finger food, a goulash cook-off between our members Mr. Peter Simon and Mr. Enrico Repouz. Kudos were for Peter, who become the goulash chief out of this competition. The duration of the event was about 3.5 hours. Along with the fun, the nice atmosphere with friends, the music and dances, the goal was fulfilled. The final earnings from Wine It! – 2019 event which will go forward for our sitting volleyball team “Sofia Owls” are BGN 5,407.28. Before the regular meeting, the board of “Sofia Owls” met for the first time to kick off the work and procedures. The club logo is nearly finished, organizational chart created, coaches are on stand-by, several options on training facilities are available, PR will start soon. The official inauguration of “Sofia Owls” will be with a tree planting ceremony. The tree will be planted on the grounds of Hilton Hotel and will include a memorial plaque. March 15th, 2019 - posted in Activities, Galleries, News and Events, Theme evenings. The traditional wine tasting fundraising event of Rotary Club Sofia International – Wine It! – 2019 – took place on 14 March, 2019 in Creative Hall Studio in Sofia. The funds collected at this year’s event are aimed for the establishment an further support of a sitting volleyball club for people with physical handicaps. We named this new club “Sofia Owls” to be linked to the mascot and logo of our club – the owl. The venue hosted more than 150 people who had the pleasure to sample wines showcased by 16 different wineries and had the chance to bid for items or win presents at the raffle generously donated by the 16 additional sponsors of the evening. The President of the club Mr. Enrico Repouz welcomed the guests shortly after 19 o’clock and presented the “oVo” sculpture – donation by Markov Studio, which is especially designed for the inauguration of the “Sofia Owls” suiting volleyball team. The sculpture was offered to the highest bidder in a silent auction and was sold to an anonymous buyer. After that the guests had the chance to try the products of the wineries, have a bite form the never ending finger food, be the jury of a goulash cook off between our President Mr. Enrico Repouz and our member Mr. Peter Simon, network, dance, have fun. The party was shortly interrupted by the charity auction with items generously provided by our sponsors, and by the charity raffle – presents for which were also courtesy of our sponsors. The earnings from Wine It! – 2019 collected from tickets, raffle, auction, donations, sale of the “oVo” sculpture, which will go forward for our sitting volleyball team “Sofia Owls” are BGN 5,407.28. The sponsors of this year’s Wine It! were: Alberto Staykov – Artist Photographer; Bononia Estate Winery & Vineyards; Borovitza Winery; Brands from Hands; Bratanov Winery; Creative Hall Studio; Greataly; Hilton Sofia; Leventa; Manolev Winery; Markov Studio; Marques de Alcantara; Medical Time; Menada Winery; MH Wines; Minkov Brothers; Natali Mark – Handmade; Patricia&Amer Beauty Center; Royale Versailles Bulgaro; SALOON – American Pub; SeeWines; Somelier.bg; SPARK Fitness & SPA; Sunray Publishing Company; Turmed services; Vetrilo Restaurants; Via Vinera Karabunar Estate; Vila Melnik; Villa Vinifera; Vinprom Rousse; Wine Project Melvino. This achievement would not have been possible without the numerous hours spent by the organizers of this event, the generous sponsors, and the numerous guests and friends who attended the event. Thank you all! March 10th, 2019 - posted in Activities, Galleries, News and Events, Visits to clubs. The “Fairy Tale Spring in Harmanli” event took place on 9 March in “Prikazkite” restaurant and was attended by our Past President, Ms. Hristova. Its purpose was to raise funds for the local school project “The School – an Attractive Center for Our Children”, which will constitute of construction of a multi-functional playground in the yard of “Ivan Vazov” primary school in Harmanli for volleyball, basketball, football, hockey and mini athletics tracks. The charity evening was attended by 162 guests from Harmanli and other cities in the country. The long-time Deputy Director of the school Mr. Nikola Zaichev was also e guest of the evening and donated 1,000 BGN. Rotary Club Momchilgrad and the Rotary Club Nova Zagora also donated 1,000 BGN each. Among the big donors are also “The Business of Harmanli” with 2,000 BGN and Harmanli Municipality with 5,000 BGN. The women from Inner Wheel Club Harmanli supported the initiative by donating 500 BGN. The kids from the school entertained the guests with musical program, where the youngest singer, was 3 years old. They also made six 3D “martenica”, which were bought for a total sum of 920 BGN at the auction. Rotary club Harmanli, gathered nearly 9,000 BGN on that event. The sum collected will be added to the value of Global Grant project for 118,000 EUR. The repair of the playground is expected to begin next year. Our Past President Ms. Hristova was a guest of the event. She would like to express her gratitude to the thanks to the hosts, especially to the President of Rotary Club Harmanli, Mr. Galin Karagyozov, and to Mr. Dimcho Nalbantov, Past President of the club. March 10th, 2019 - posted in Galleries, News and Events, Visits to clubs. Our member Mr. Rumen Rusinov had the pleasure to take part at the 20th Anniversary Celebration of Rotary Club Sofia Vitosha. He joined the party on 9 March 2019, together with his family and friends from Rotary Club Korneuburg – Mr. Werner Kilian and his wife Mrs. Ralitza Kilian. The Gala-dinner took part at hotel Marinela Sofia, where the club has its regular meetings. All guests were welcomed by the president of the club Mr. Asparuh Karastoyanov. During the official part some friends received their pin for being a Paul Harris fellow. The audience was entertained by famous Bulgarian singers and actors. The atmosphere was fantastic and the party continued until the late morning hours. Moderator of the event was Mr. Dragomir Draganov. March 9th, 2019 - posted in Activities, News and Events, Service support. The traditional fundraising wine evening of Rotary club Sofia International – Wine It! 2019 – will take pllace on 14 March 2019 at CREATIVE HALL Studio on 122, Tintyava Str., Sofia 1172. The starting time of the event is 19:00 and tickets cost 40 BGN. Find out more about the surprises we have prepared for you HERE. March 6th, 2019 - posted in Activities, Future projects, Galleries, Meeting, News and Events, Service support. On Wednesday, 06 March 2019, we were treated with yet another very informative presentation on “A Company’s Online Presence – The Own Website DOs and DONTs”, this time by our own Mr. Thomas Westerhoven. The topic was really interesting. Quite some people were keen on taking notes. Our guests were Mrs. Vessela Schenk, Ms. Dessy Tian, Mr. Brandur Haukson and Mr. Thomas Metz. Big thank you goes to Horst Stüer, who has made the first donation for our “Sofia Owls” Sitting Volleyball team. Past President, Mr. Jörg Schenk was elected as President of the Bulgarian Field Hockey Association. Bravo Jörg, we are all proud of you. Next week is our “Wine It!” event, which will take place on Thursday 14 March 2019 at Creative Hall Studio, on 122, Tintyava Str., Sofia 1172. The event will start at 19:00. Entrance fee 40 BGN. This year 20 different winemakers will offer their best wines to try. In addition to tasting and musical program, which can last until the early morning hours due to the location of the venue, Peter and Enrico will fight for the title “Best Goulash”. The fellowship, as usual, continued with discussions and the presentation and the upcoming wine evening in the lobby bar of the hotel. February 27th, 2019 - posted in Galleries, Meeting, News and Events. Rotary Club Sofia International held its elections for President Elect for 2020-2021 on its regular meeting on 27 February 2019, since on the last elections for President Elect 2020-2021 in December last year no President was elected due to lack of quorum. Our newly adopted rules, at the time, allowed us to elect only the Board members for next Rotarian year. On the elections meeting we accepted firstly changes to our internal rules. All changes passed and most votes were unanimous. After changing the election quota for President we proceeded with elections for President Elect 2020/21. Nominees for President 2020/2021 were Mr. Marc Bouzy and Mr. Jørgen Atke. After applying the electoral procedure Mr. Marc Bouzy was chosen over Mr. Jorgen Atke with a 15 to 3 votes. Mr. Marc Bouzy is President Elect for 2020/2021. Congratulations to Marc and thank you to Jørgen for being a good sport. After that short updates on “Wine It” 2019 event followed as well as on “Sofia Owls” – our Sitting Volleyball team – whose name is now officially registered. After the elections the fellowship continued in the lobby bar of the hotel. Hilton Sofia, 1 Bulgaria Blvd., Sofia. Like Rotary Club Sofia International! Copyright © 2009-2019 - Rotary Club Sofia International - All rights reserved. This site is powered by Wordpress with initial template from redesigned by Studio Svetu Design - part of SVETU Group.